The German language doesn’t really lend itself to wordplay in the way that English does, but it certainly doesn’t stop folk trying. 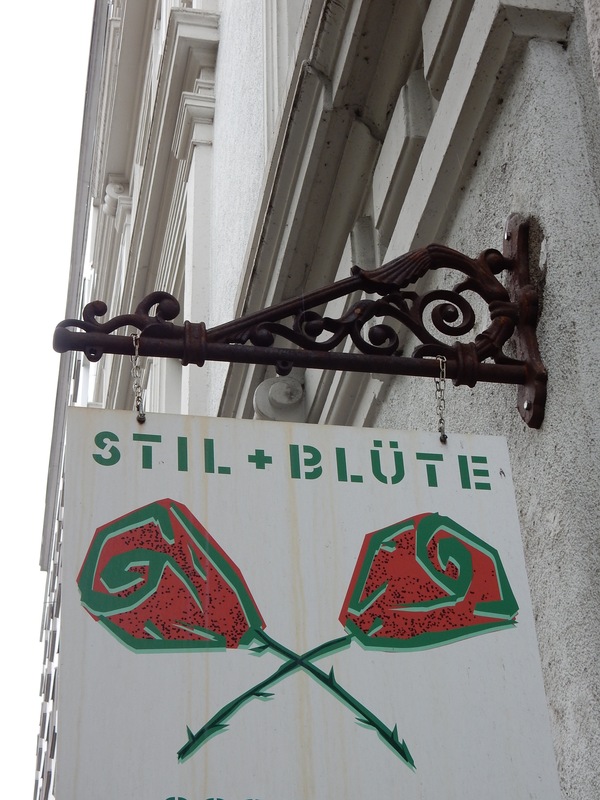 Phonetically, it could be – in German – “Stiel und Blüten” – Stems and Blossoms. Of course, “Stihl” also rhymes with “Stil” and I know it’s a bit early, but anyway…. 01 Jun	This entry was published on 1 June, 2015 at 08:00. It’s filed under Mainz, Monthly Theme Day, NQM (Not quite Mainz) and tagged Stil, Stil + Blüte, Style. Bookmark the permalink. Follow any comments here with the RSS feed for this post. I rather like the sign design. well aren’t you the clever one!